Perfect small farm ready for horses, chickens or just relaxing in privacy. 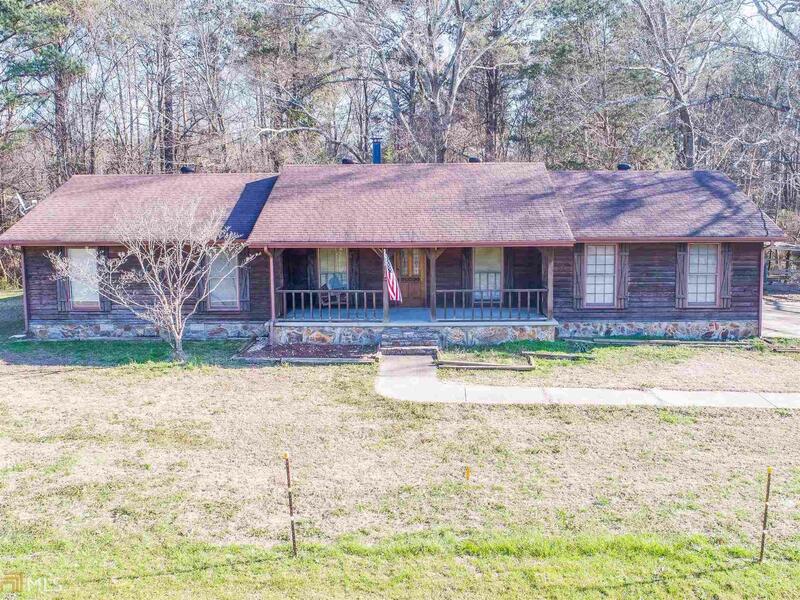 House sits in the middle of 3 lots to make 5.27 acres. Ranch home has formal dining, large breakfast room, hardwood floors in main living area, ceramic tile in the kitchen, garage entry, and breakfast room, master bath has an updated tile shower. Wood burning stove to enjoy when its cold, rocking chair front porch with large deck in back with a tin roof for your enjoyment even in the rain. HVAC, water heater, roof, garage door opener are all newer. Just perfect for a family, or retirees. Fenced and gated. Country living with the city life as you&apos;re minutes from shopping, restaurants, I-20. Come sit down in your swing on your porch and enjoy just a&apos;swinging. Directions: I-20 Exit 82 To Hwy 138 Thru Conyers. Left Onto Hwy 212, Left On Bethany House Is On The Right.